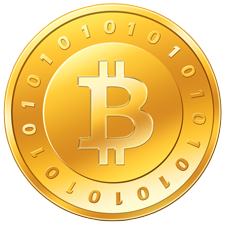 I have been playing around with Bitcoin, the mathematically very cool digital currency. It occurred to me that it is the “local currency” of the Internet. There are local currencies like Ithaca Hours or Bernal Bucks that facilitate trading within a community. Bitcoins are kind of like that. It is for those of the Internet. I found getting it going was an adventure which ended in my figuring out how to donate to the Internet Archive, which was fun. People have donated over $5000 worth of bitcoins in the last 2 years to the Internet Archive. Bitcoin wallets reviews to understand better. I was able to buy a physical bitcoin, which makes a good souvenir. I was interviewed for an upcoming article in Bitcoin Magazine. And been giving out 10 bitcoin cents to friends that I can find their bitcoin address. I can not sure when I have to stop this gesture, but it seems to be encouraging some to set up bitcoin-qt on their computers. Rick Wesson had an idea to use the DNS to publish your bitcoin addresses for those that want to send you money. If you take your email address, replace the @ with a . to make it a hostname, then put it in the txt record (takes some knowledge of dns). rick.wesson.us. 300    IN    TXT    "BTC=1\; 1GCVXLfF1TcpnnDLJRHk845NZhuJWQTnUD"
brewster.archive.org. 1800    IN    TXT    "BTC=1\; 1MHViGVu72KWj7dMsqcypGVih385YoQzUb"
I feel like I am part of a club, and it is fun. I hope to find more things I can do to play with this promising system. Bitcoin adoption is increasing and reaching new businesses every day. The more people who get into this virtual currency, the better! For those who haven’t joined the revolution yet, check out http://thebitcoinmaster.blogspot.com and get started! Bitcoin currency demand continue to grow. One of the good things about using a bitcoin is that its a perfect anonymous payment mechanism to be used on the internet. You do not have to trust the sender or even know him it is helpful especially to those very private people who doesn’t like providing personal information.